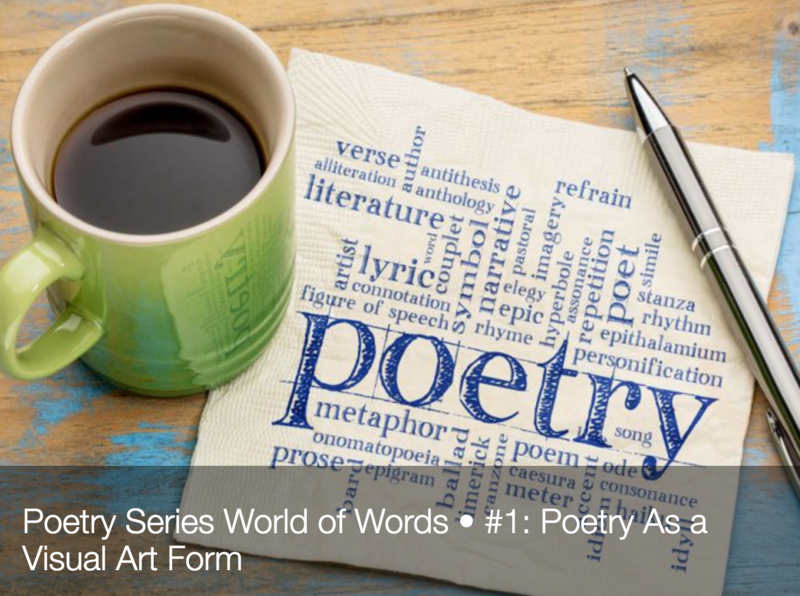 This Poetry Workshop Series is designed to enhance your expression and your unique voice as a person and a writer. This workshop is for writers and non-writers alike. It will be taught in 4 individual classes and each class will emphasize on a different aspect of poetic expression. You can choose to do the full series or just come to the classes that intrigues you. Open up to your World of Words. We will be writing a nature themed shape poem (in honor of earth day) to explore using imagery with words and seeing words as a visual art form. Student will write and create a “visual” poem within a picture to take home and hang on their wall. I will also share examples of imagery within poems and leave time at the end for anyone to share. This will be a fun lighthearted class with an adventuresome quality.